After the "underdog" No. 1 seed Philadelphia Eagles beat the favored No. 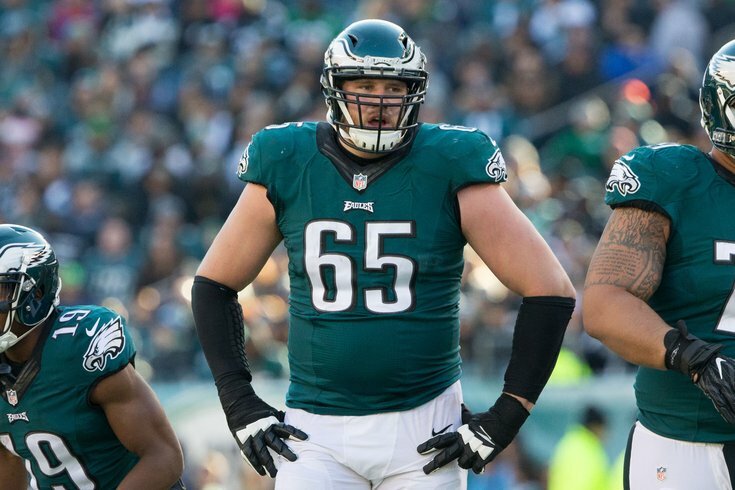 6 seed Atlanta Falcons in the divisional round of the NFC playoffs, offensive tackle Lane Johnson and defensive end Chris Long proudly donned dog masks, mocking the idea that the Eagles were underdogs. 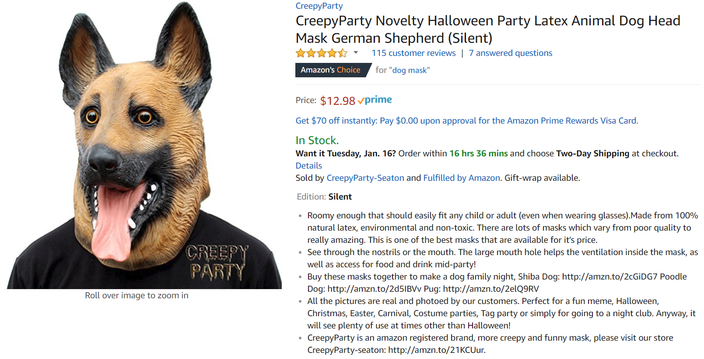 After the game, Johnson said that a buddy of his ordered the masks on Amazon, so we looked it up, and sure enough, here it was (at the time) for the very reasonable price of $12.98. Dog masks have since become nearly impossible to find, as Philadelphia-area residents have nearly cleaned out the world's reserve of them. Recognizing the popularity of the idea, Johnson decided to take advantage and raise money for Philadelphia schools. According to Johnson, as of Tuesday night, his t-shirts raised somewhere between $53,000 and $55,000. The Eagles are three-point underdogs once again against at home against the Vikings this week in the NFC Championship Game. "That's what they thought last week," said Johnson. "We'll see what happens this week." Johnson did caution that the masks aren't conducive to, you know, sight. "Really, just the masks took off," he said. "I didn't expect it to turn out the way it did. I just want people to know it's kind of hard to see out of those masks, so if they put them on they can't really watch the game. I'm just warning you."